Julie started with the Straven Road Veterinary Centre in 1996, working at branch practices and at Straven Road and completed her NCVN at Otago Polytechnic. 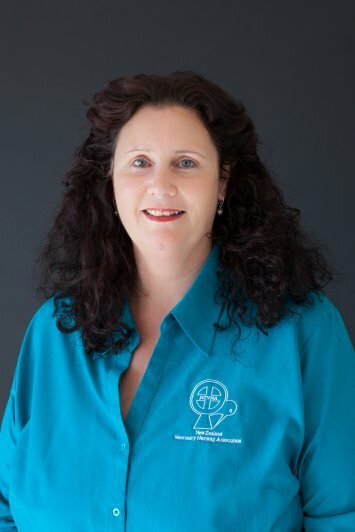 Julie is also on the New Zealand Veterinary Nursing Association (NZVNA) Council and is very passionate about the development of veterinary nursing and continuing education. Julie would also like to see clinics utilise their veterinary nurses more. At present Julie is a senior lecturer at Christchurch Polytechnic, teaching Veterinary Nursing. Julie still enjoys working in practice and you will see her at Straven Road working with the veterinary nursing students. Julie attends conferences and enjoys continuing professional development so each year completes the NZVNA "Accredited Veterinary Nurse programme". At home Julie has an elderly ginger female cat called Kitty. Kitty is24 years young, and loves to spend time with her grand-dogs Odie and Kingston.